Allie Gardner, a junior at North Carolina State University, gives a great list of the best highlights of LEAD Greece so far! My name is Allie Gardner and I attend North Carolina State University. It is hard to believe that we only have two more nights to spend in Athens. I have experienced so many wonderful things and met some incredible people with life changing stories. Therefore, I want to share a few places where I have experienced my favorite memories on the trip so far. This is my favorite place to eat in Glyfada. This restaurant looks just like the inside of an Anthropologie store and the food is delicious. I definitely recommend the penne pasta with cream cheese and tomatoes and the nutella dessert pizza. This is a really cool place to buy authentic, handmade Greek sandals. They have over twenty different styles and colors of leather to choose from. I decided to buy the same pair as the famous celebrity Sarah Jessica Parker! I ventured to this peaceful lake on one of our free days. It is a great place to just sit back and relax while soaking up the Grecian sun. The lake is beautiful and contains Garra Rufa fish. The fish eat the dead skin off of your feet, which feels really weird! This is a unique bakery that incorporates both Greek and French cultures in their recipes. I love the macaroons and raspberry gelato. I will never forget this experience. It was fun but also terrifying. 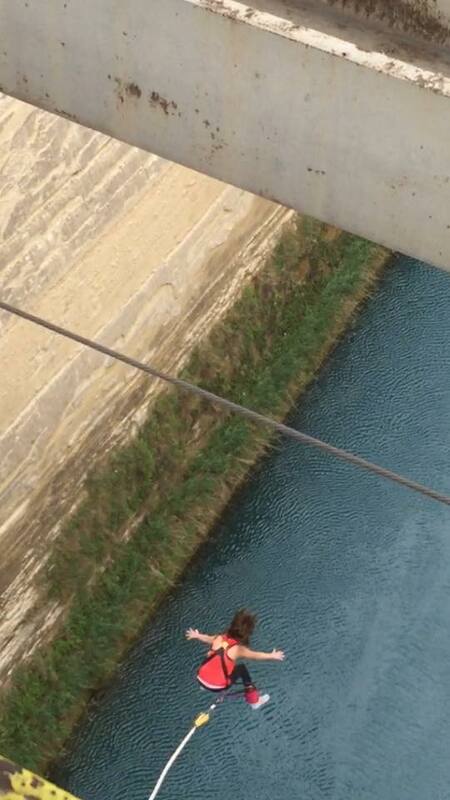 Instead of diving off the Corinth Canal like everyone else, I jumped feet first by accident. I looked like a frog and have some very amusing photographs as a result. Working with The Salvation Army has been a very eye-opening experience. Maria told our group stories about families and children in the area that will stick with me forever. I painted houses and helped finish up the mural today and I can’t wait for the children to see it. Local or Tourist? It’s All Up to You. © 2019 LeadAbroad | * By submitting your information, you are indicating that you agree with the policies, terms and conditions. Fill in the form and we'll find your invoice for you. I authorize LeadAbroad to debit my account. Fill in the form and we'll log you in. Fill in the form and we'll find your account for you.